Frequent movers. Avid renovators. Dominating the home improvement industry, the LGBTQ community has consistently spent more on home renovations then non-LGBTQ throughout recent years. Back in 2009, data illustrated anticipated costs on home remodeling for LGBTQ couples 50% higher than non-LGBTQ couples. Current statistics still illustrate LGBTQ households spending more on home renovations and remodeling than their non-LGBTQ households. In 2016, 10% of the LGBTQ population made home improvement purchases. So what components influence this segment to make significantly more home improvement purchases? The frequency at which LGBTQ consumers make home improvement purchases may be attributed to their constant relocation. According to a consumer survey ran in 2009, in the previous 10 years, 21% of gay homeowners moved three to four times, compared to 12% of non-gay homeowners. LGBTQ consumers also host more in-home entertainment for friends and family than the average consumer. Various factors may influence this trend including higher discretionary income and the absence of children. LGBTQ baby boomers hold the most wealth in the LGBTQ segment, with 70% of them homeowners. Nonetheless, current statistics illustrate that the average household income of a partnered gay man stands at $115K compared to $102K for the heterosexual partnered man. The average household income among all lesbian women is $94K, compared to $85K for all adult women. Home Depot is one of the home improvement companies that has cultivated its relationship with the LGBTQ community. The company has been named one of the top places for LGBTQ equality, and has been involved in Pride parades and LGBTQ marketing. 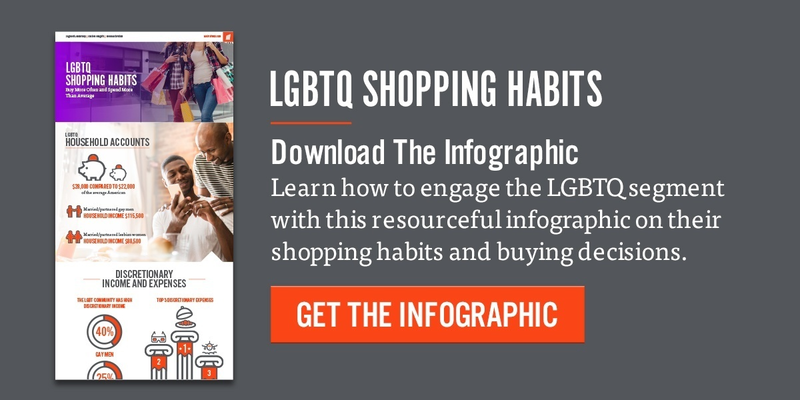 It’s important to keep in mind that LGBTQ consumers are keen on purchasing from brands that consistently uphold pro-LGBTQ policies and practices. Sources: Motivate/Latinum Case Study, Marketing the Rainbow, Community Marketing Inc.